5170 Pentecost Drive Suite 1 Modesto, CA 95356 We are available to answer questions on pricing, availability and helping you design your next project. Complete the form below to contact us today. to have such a wonderful company to work with. We just finished having our 100 year old hardwood floors finished. They did a spectacular job. They were sanded and finished within two days. I cannot tell you how happy we currently are. Our floors were unimaginably dirty and old. We thought there would be little to no hope. However, this company and the two employees that completed this job, were very professional and hard working. I would highly recommend this company to anyone in need of hardwood floor work as well as carpet. 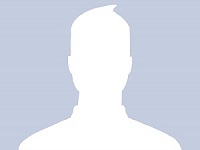 Louie D., Turlock, CA See all of Shelton Lee Flooring reviews. [spacer] Shelton Lee Flooring was established in July of 1994, incorporated in the State of California by its original founder, Jerry L. Shelton, Sr. Jerry started in the industry with his first store, The Carpet Nook, in Ceres, CA but with the birth of his two sons decided a job with a steady schedule might be a better choice while raising to young boys and got a job with Butler Johnson, one of the largest, local flooring distributors, at the time, where he quickly excelled. 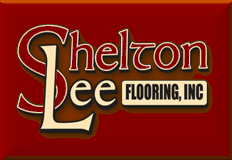 Once the situation with the boys settled down, as they got a bit older, he started Shelton Lee Flooring. Shelton Lee Flooring values each and every person that walks through its. with our premier designers and partners on your next project to bring your design ideas to life. Select one below to learn more. We can pair you with the perfect designer for you next project by visiting our showroom today. Name / Title Name / Title Name / Title Name / Title .